If you need to Listen to, Understand, Relate and Advance ideas with a diverse group of people or stakeholder groups, Lura can help. We have unparalleled experience designing and implementing meaningful engagement processes using a range of proven and innovative engagement techniques. Our focus is on engaging and empowering participants while customizing and implementing participatory processes that meet our clients and their community’s needs. 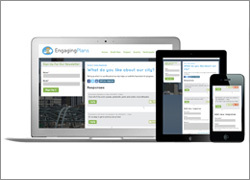 Lura is proud to offer EngagingPlans - a feature-rich website package that allows government agencies and organizations to facilitate broad-scale outreach and participation. The interactive website has a broad range of capabilities that facilitate the sharing of information, encourage involvement online, and document project outcomes. 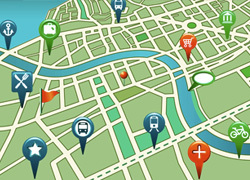 Examples of our EngagingPlans websites include: ReThink London and Guelph Wellbeing Initiative. "We are very proud to have contributed our expertise to this award-winning plan. This is the first time the Daniel Burnham Award has been presented to a jurisdiction outside the U.S., and the award committee recognized the extensive stakeholder consultation process as part of their decision."